Here I present my first post on my blog.. 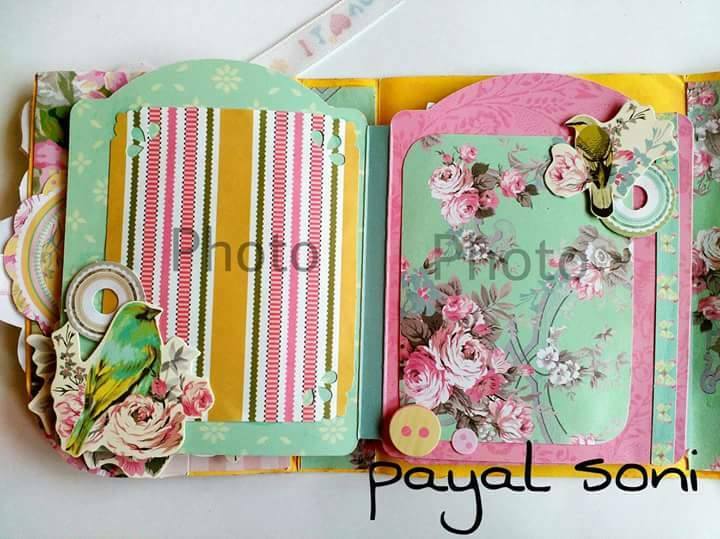 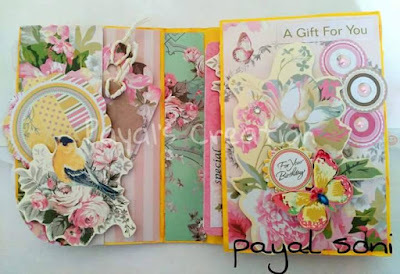 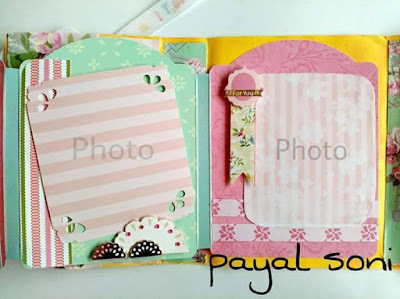 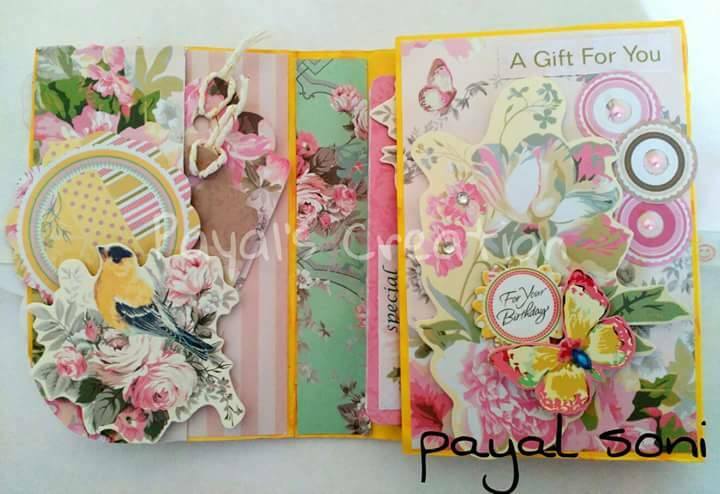 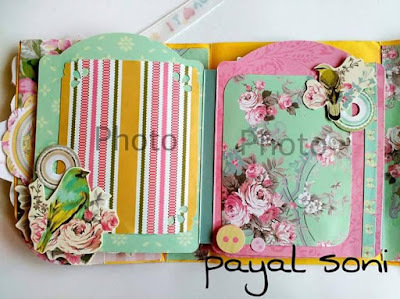 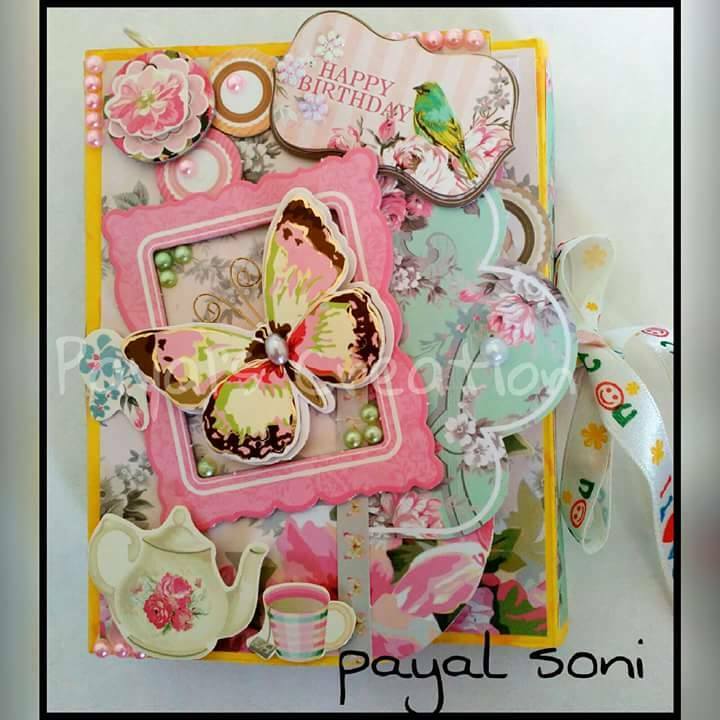 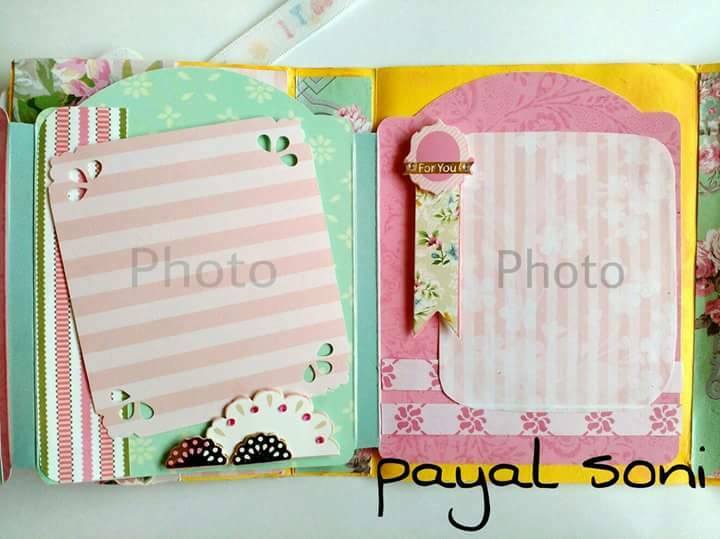 This is most Adorable photo album with using DIY BOOK KIT... you can also make this album with DIY kit which is easily available in any craft store or stationary shop.. 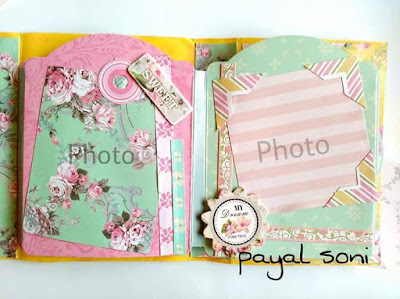 This is the front look of my Photo album.. I make layers with foam tap on this front page.. 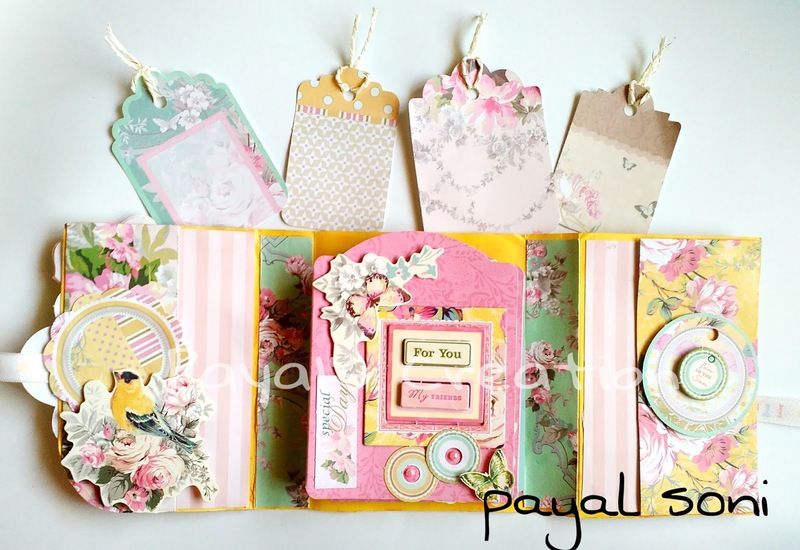 I add some extra tags & stickers to look more gorgeous and also add some extra elements like half pearls , ribbons.. 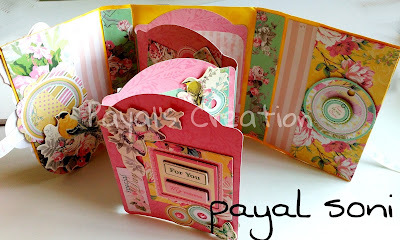 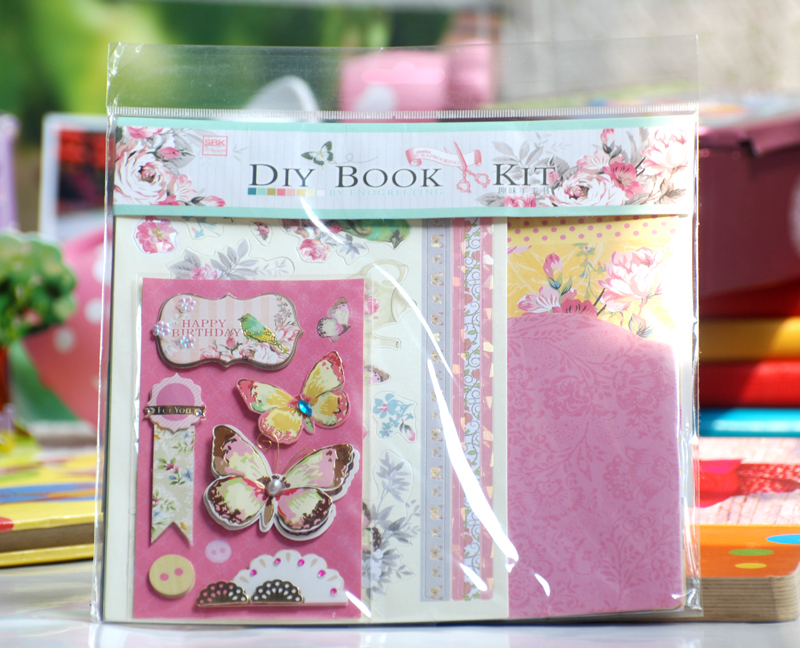 I use this DIY BOOK KIT for this Mini Photo Album.. 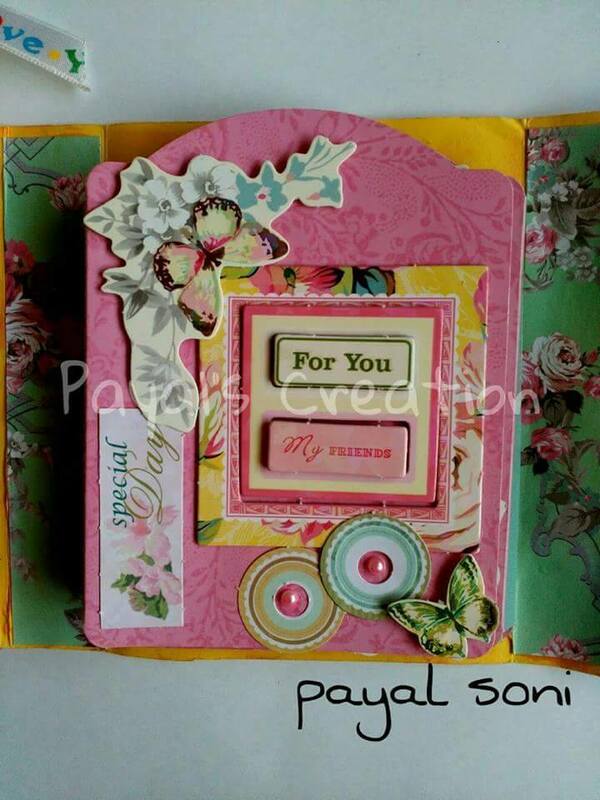 Journey of my stamping Art..